Any woman would like to have a man who stays in shape, right? 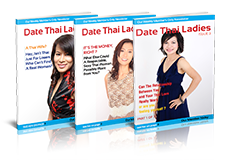 Thai women are generally in very good shape and you will look like a great couple if you keep yourself in shape too. We all know it’s important to have regular exercise in today’s world. The trick is to find a suitable place to work-out. Are There Good Facilities for Fitness In Thailand? Wherever you choose to live good work-out facilities are a must. The good news is there are a multitude of choices in Thailand and especially in the Bangkok area. However, they do vary greatly in price and equipment. It takes some shopping around to find the one that is right for you. 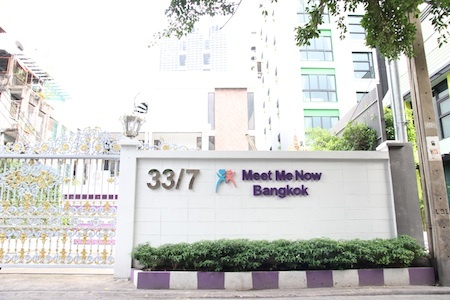 I started my search in the downtown business district of Bangkok even though I live on the outskirts of the city. My thinking was that I’d be more likely to find a place with everything I want. I was willing to travel the distance into town each day for an excellent facility. What were my requirements on the facilities for fitness in Thailand? First of all they have to have free weights. I don’t mind working on weight machines once in a while but I am a big believer in the value of free weights for weight training. Not only do they need free weights but they have to have a big enough collection of various weights to account for a full range of exercises. Secondly, it’s nice if they have some sort of court for racquet sports. Whether it be tennis, racquetball, squash or badminton, it’s nice to have the option of playing an activity on some days to avoid relentless work on the treadmills and stationary bikes which every work-out facility has. My third requirement for any facility that offers fitness in Thailand is a pool suitable for swimming lengths. Swimming is a full body exercise which builds stamina and muscle without putting a big weight-bearing load on your body. It’s great exercise to alternate with your regular gym days. Those are the three main things I was looking for in my search for a location for fitness in Thailand. I was willing to compromise on them if a facility really impressed me. I guess that makes them more of a wish list than requirements. Ultimately, what mattered most was an impressive facility with a reasonable price. And thus my search began. The first places I looked at were the “Gold’s Gym” type places for fitness in Thailand. They have a franchise here in Bangkok called “California Wow” so I had a look at them first. They were very impressive facilities. New equipment, well-trained staff, lots of free weights. Did they have racquet courts? Nope. A pool? I didn’t see one but I’ve heard some locations for fitness in Thailand have one. Not only were they short on pools or courts but they were very expensive by Thai standards. But what turned me off the most was the “hard sell” they give you when you enter the facilities. A salesperson will laud the terrific place and then try to get your signature on the dotted line before you leave. If you balk at the price it turns out to be flexible. They’ll lower it if you look reluctant to sign. I just wanted to check out the facilities so I could make a comparison with other gyms in the area but California Wow staff were very aggressive trying to get me to sign. In talking with friends later they all had different price quotes when they joined. That scared me enough to stay away from them. I really don’t enjoy the hard sell. I think a place should stand on it’s merits. If it’s awesome enough people will join. You shouldn’t have to twist their arms. Anyway, some people looked happy there. All sorts of folks were working out when I looked in. One thing that struck me was the exceptional number of “preeners” I saw. A “preener” is a person who spends inordinate amounts of time checking themselves out in the mirror or flexing to show off for others. It’s not the kind of vibe I’m looking for in the gym I attend. So I crossed California Wow off my list. Too expensive, too many preeners, no pool, and no courts. Where would I look next? Friends told me the major hotels in downtown Bangkok have excellent facilities and sell memberships for fitness in Thailand. That’s where I go next in part two of this blog, coming soon. Don’t miss it. Marc Lewis is a 50-year-old Canadian who has traveled the world extensively both on his own and leading student tours. He’s worked as a high school teacher, business executive and photojournalist. Two years ago Marc met a lovely Thai girl online and moved to Thailand. He currently makes his residence in Bangkok. He loves to stay in shape with fitness in Thailand.